If you are a fan of yogurt, then your fridge is probably filled with favorite flavors of this delectable treat. Or if you’re health conscious, then you probably fill up on low-fat yogurt for breakfast frequently. But did you know that yogurt is one of nature’s best remedies and can be used very effectively for health and beauty needs? The word “yogurt” comes from Turkey, and it means “thick, tart milk.” It is produced when milk interacts with beneficial bacteria and consequently undergoes a fermentation process. The end product is the curdled, sour-tasting, thick milk – known to most the world now as yogurt. Yogurt contains lactic acid, which is produced during the fermentation process, and a host of other nutrients like zinc, calcium, probiotics, and vitamins B and D. Not only is yogurt good food for your health, it can also be used externally in various face and hair beauty treatments. 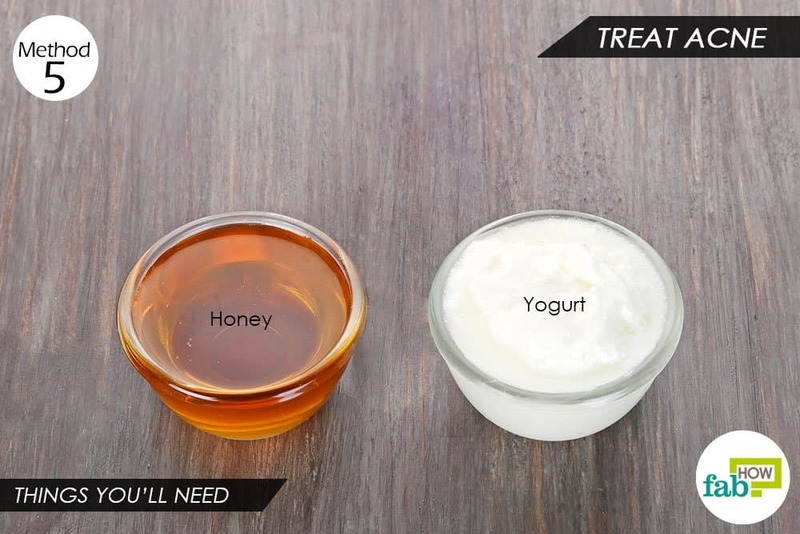 We have gathered together some of the various ways in which you can use yogurt for skin and hair problems. Continue reading for ideas of which method might suit your needs best. Are you plagued with excessively dry skin that gets flaky and itchy, especially in the winter? If you are tired of applying expensive lotions and still getting no relief, give this yogurt-based mask a try. Simply combine plain yogurt with natural clay, aloe vera gel and rose water to make a deeply soothing mask for dry, itchy skin. The lactic acid in yogurt works along with aloe vera to eliminate any infection-causing pathogens and soothe the irritated skin. The natural clay and rose water further help alleviate itching and enhance the skin’s appearance. Put 2 tablespoons of plain yogurt in a mixing bowl. Add ¼ teaspoon of natural clay. 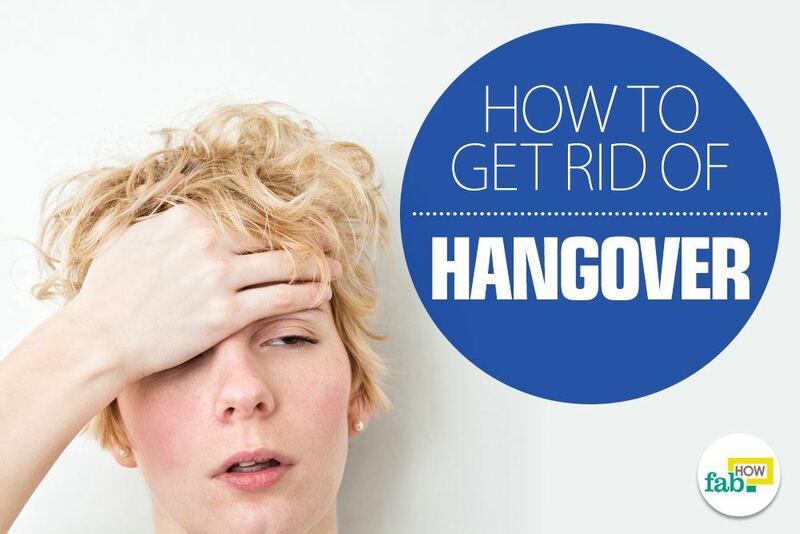 Add ½ teaspoon of fresh aloe vera gel. You can either buy it from the store or make your own fresh aloe vera gel at home. Add just enough rose water to make a smooth paste for application. Mix the ingredients well to get a uniform paste. Apply the paste on your itchy skin. Leave it on for 30 minutes, then wash it off with warm water. Gently pat your skin dry and apply a light moisturizer if desired. 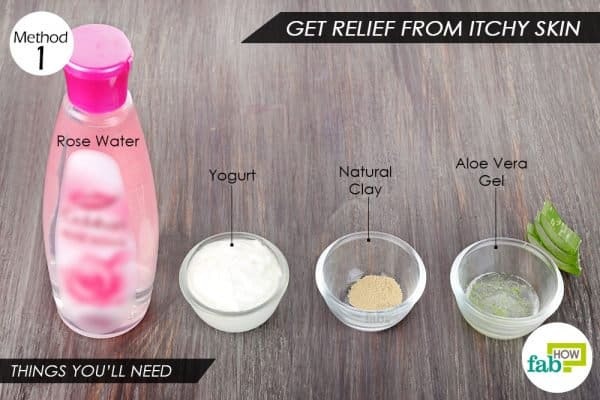 Use this remedy as needed to get relief from itchy skin. A well-deserved beach vacation can leave you happy and at peace, but it may also leave you with a lingering reminder in the form of persistent suntan lines. However, you don't need to worry. 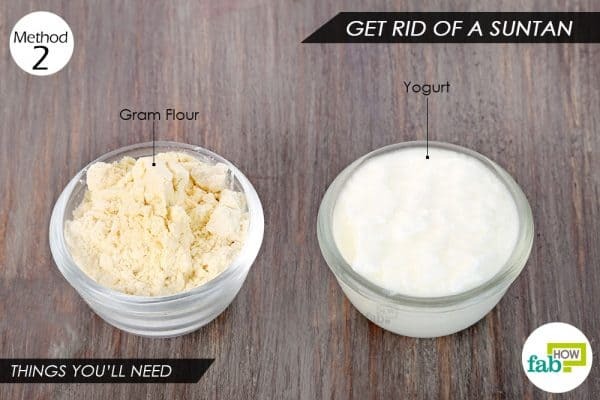 All you have to do is apply a mixture of plain yogurt and gram flour to restore your natural complexion. The lactic acid in yogurt acts as a natural skin lightening agent, and its moisturizing and nourishing properties help repair skin damage from harmful ultraviolet (UV) rays of the sun. The gram flour also works to further soothe and lighten the tanned or damaged skin. Put 2 tablespoons of gram flour in a mixing bowl. 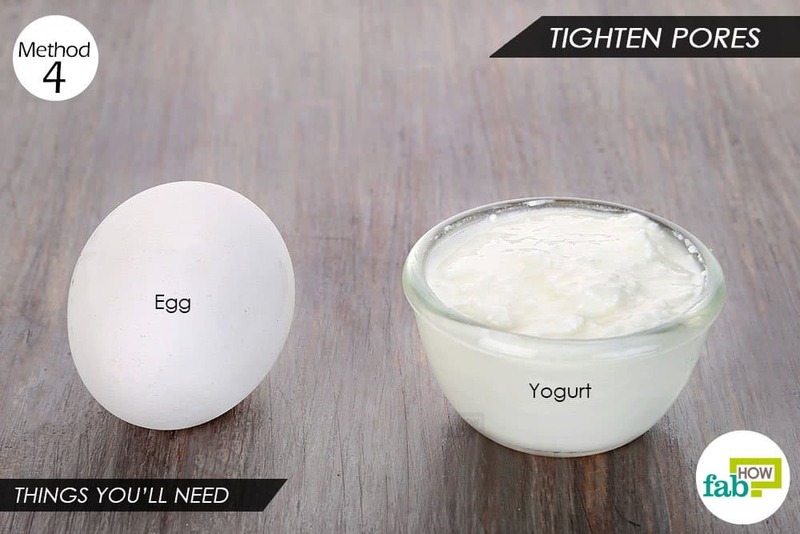 Add 2 tablespoons of plain yogurt. 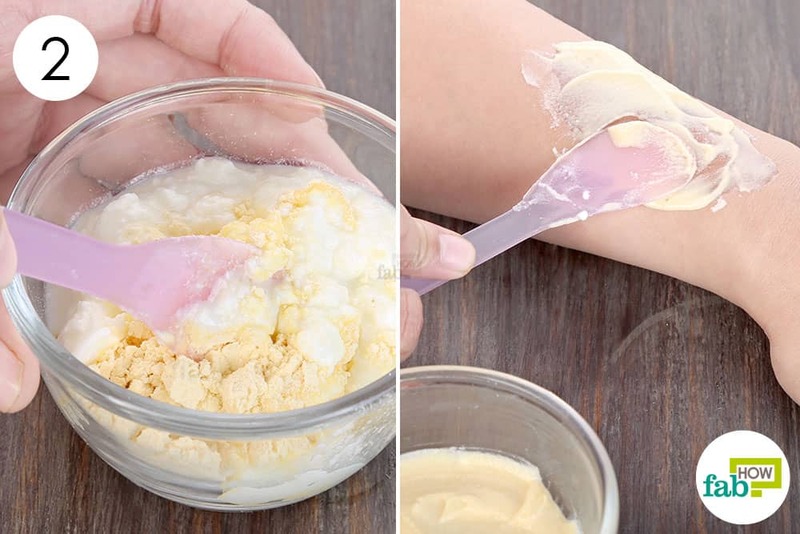 Apply the yogurt-gram flour paste to your tanned skin. Keep it on for 30 minutes, then massage and wash it off with some cool water. Apply this paste daily for at least 2 to 3 weeks to get rid of a suntan or even sunburn. 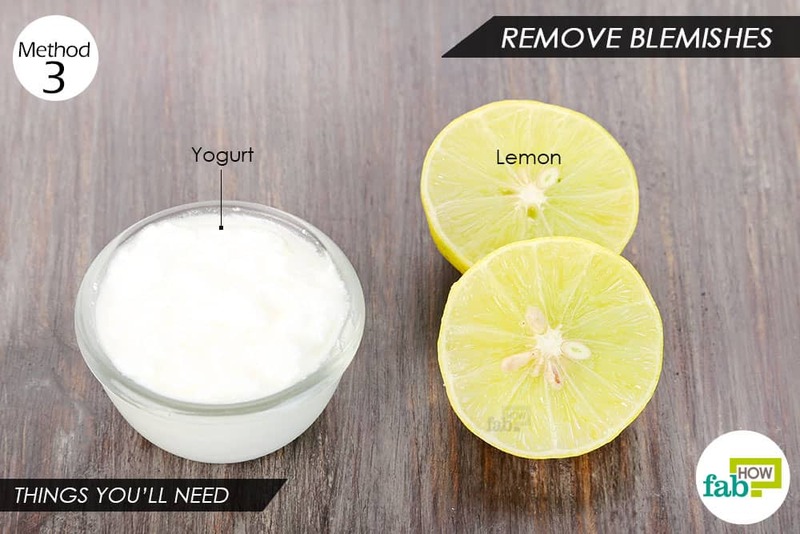 Yogurt and lemon contain lactic and citric acid, respectively, which works to lighten skin and fade blemishes naturally. 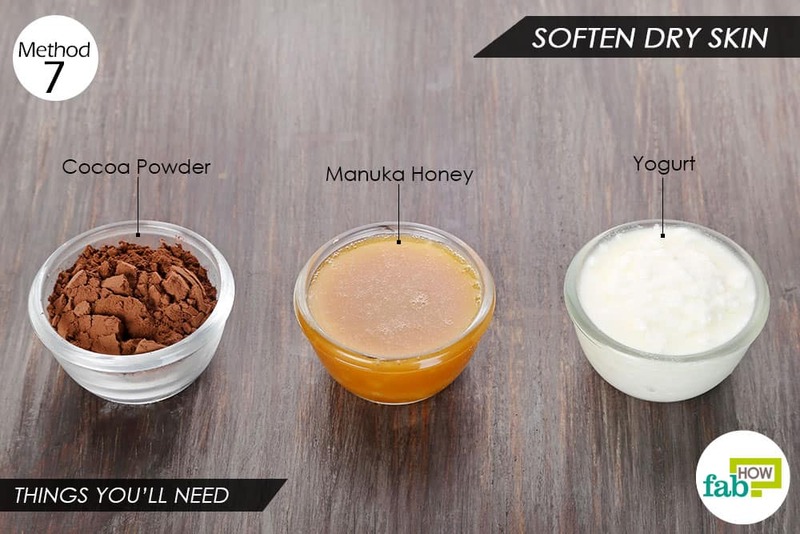 You can combine these two potent ingredients to make an even more powerful mask to get rid of blemishes or scars. Note: Since lemon acts as a natural skin-lightening agent, those with sensitive skin should do a patch test before proceeding to use this remedy. 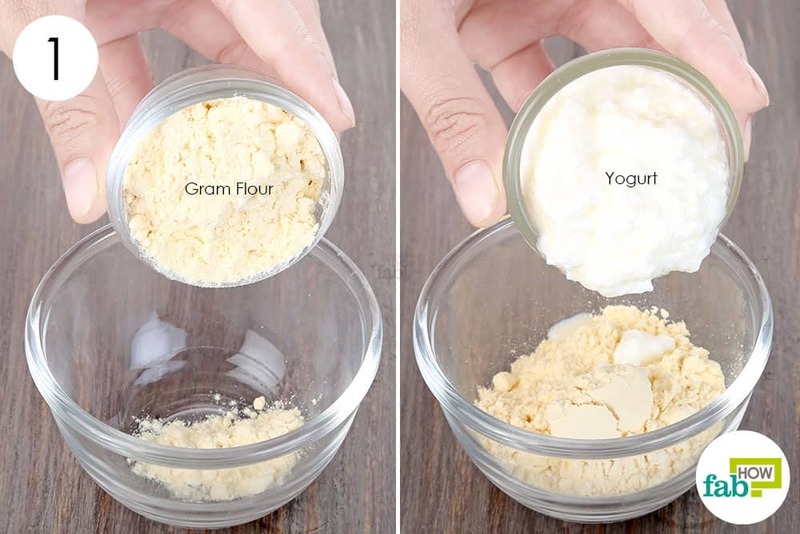 Put 2 tablespoons of plain yogurt in a container. Add freshly squeezed juice from ½ lemon. Afterward, wash your face first with warm water and then with cold water to close the pores. Gently pat your skin dry with a soft towel. Apply this paste once every 3 days for at least 2 to 3 weeks to remove most blemishes from your skin. If you have oily skin, you’ve probably suffered through frequent breakouts of acne and the chronic recurrence of whiteheads and blackheads. 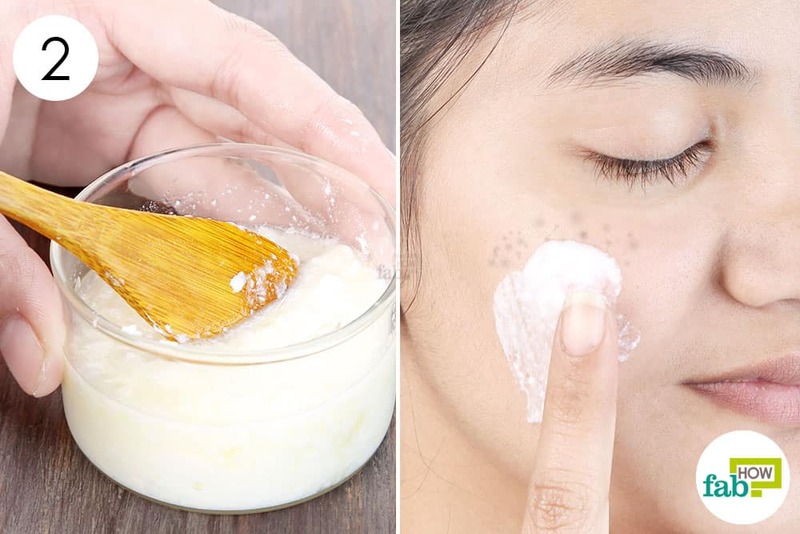 While you can use DIY natural face masks to get rid of acne and blackheads, in the end, you are still left with wide, open pores on your skin. Egg whites act as an excellent skin-tightening agent that help close your pores reducing their appearance dramatically. 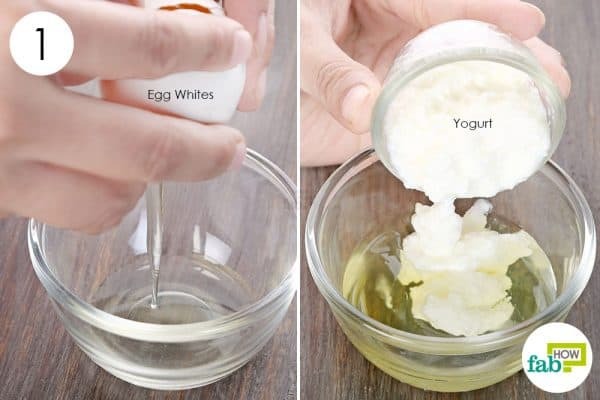 You can mix egg whites with plain yogurt to create a face mask that will cleanse and close your pores, giving you smooth, flawless skin. Seperate the white from 1 medium-sized egg in a bowl. If you are unsure about how to do this, you can use some incredibly simple hacks to easily separate egg whites from the yolk. Add 2 tablespoons of plain yogurt to the egg whites. Blend the ingredients using a small, motorized blender to get a smooth paste. 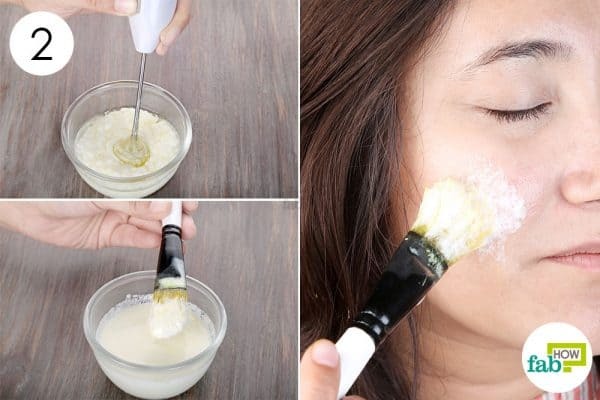 Use a cosmetic brush to apply the mask all over your face. Leave it on for 15 to 20 minutes, then rinse your face with cool water. Gently pat dry using a soft towel. 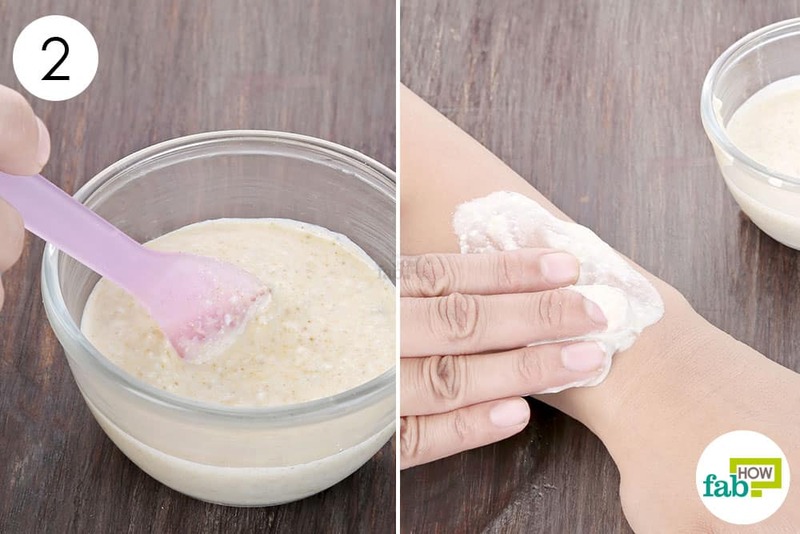 Apply this mask 2 or 3 times a week to use yogurt for skin and hair and reduce the appearance of pores. Raw honey has potent antimicrobial and anti-inflammatory properties that make it an excellent remedy for acne. 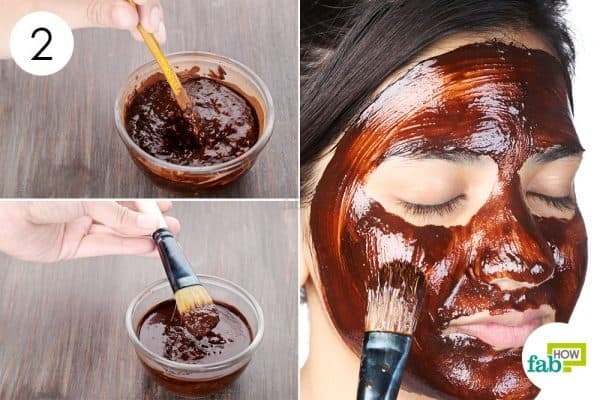 It also helps repair damaged skin and, in combination with plain yogurt that has antibacterial and antifungal properties, it makes an excellent mask to get rid of acne and acne scars. Use a small, motorized blender to mix the ingredients into a smooth paste. 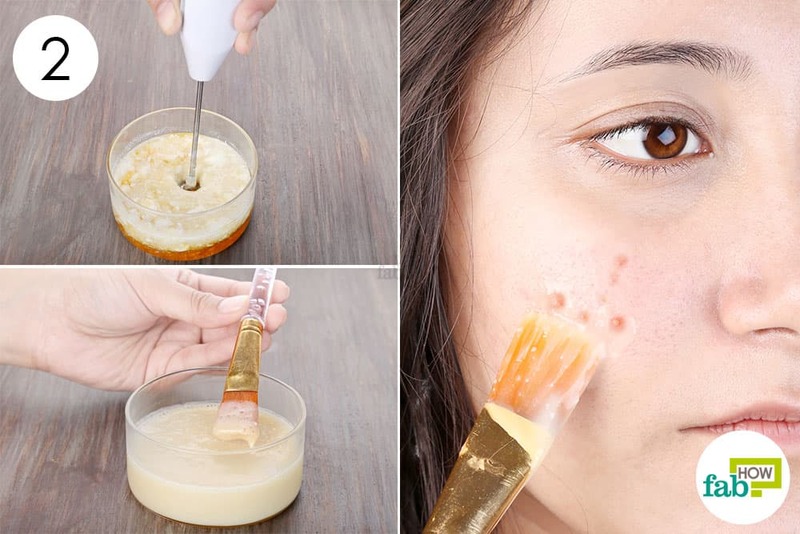 Using a cosmetic brush, apply the yogurt-honey mixture on the acne-affected areas. Leave it on for 10 to 15 minutes, then gently pat your face clean with a damp cloth. Apply this paste at least 2 or 3 times a week on a regular basis to get rid of acne and keep it from recurring. Age spots are gray, brown or black spots that often develop on the skin due to excess melanin production in a certain area. 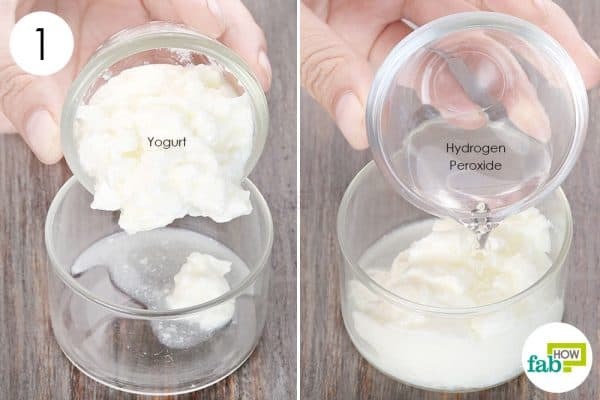 3% hydrogen peroxide acts as a strong lightening agent and, in combination with plain yogurt, it can be used to fade and remove these spots, giving you younger-looking and flawless skin. Note: Since 3% hydrogen peroxide is a strong ingredient, do a patch test before proceeding with the remedy. Add 2 teaspoons of 3% hydrogen peroxide solution to it. Use a cosmetic brush to apply the mixture on the affected skin. Leave it on for 15 minutes, then wash it off with water. Repeat daily for a few months to get rid of age spots. 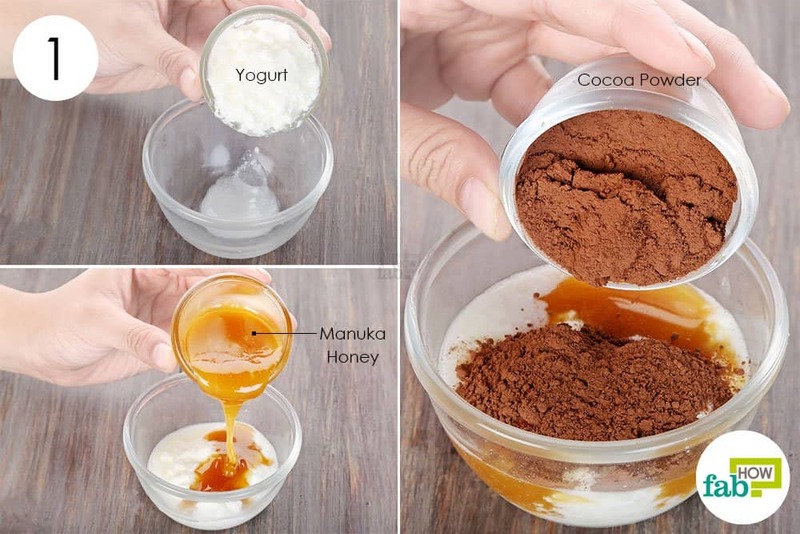 You can make an extremely nourishing mask for dry, dull and damaged skin by mixing plain yogurt, Manuka honey, and unsweetened cocoa powder. Add 2 tablespoons of Manuka honey to it. Add 2 tablespoons of unsweetened cocoa powder. 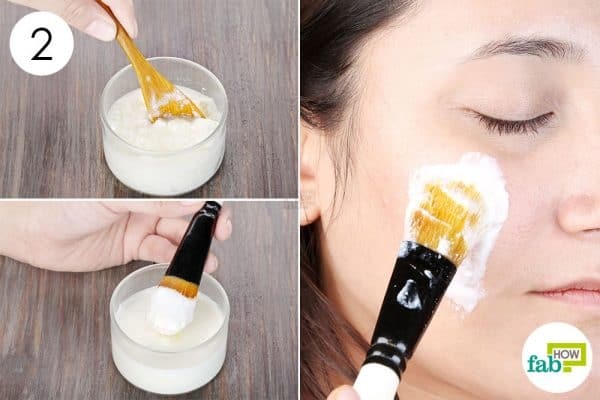 Use a cosmetic brush to apply it all over your face. Leave it on for 15 to 20 minutes, then rinse your face with warm water. Apply this face mask 2 or 3 times a week to moisturize and enrich dry skin. You can also use yogurt to get rid of dark circles, as it works to reduce the puffiness around your eyes and the lactic acid in it helps fade and reduce dark circles. Put some plain yogurt in a bowl. 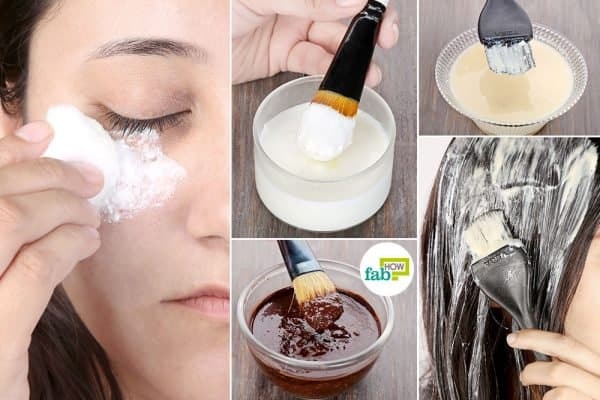 Dip a cotton ball in it and apply it on your dark circles. Keep it on for 10 minutes, then wash your face with cool water. 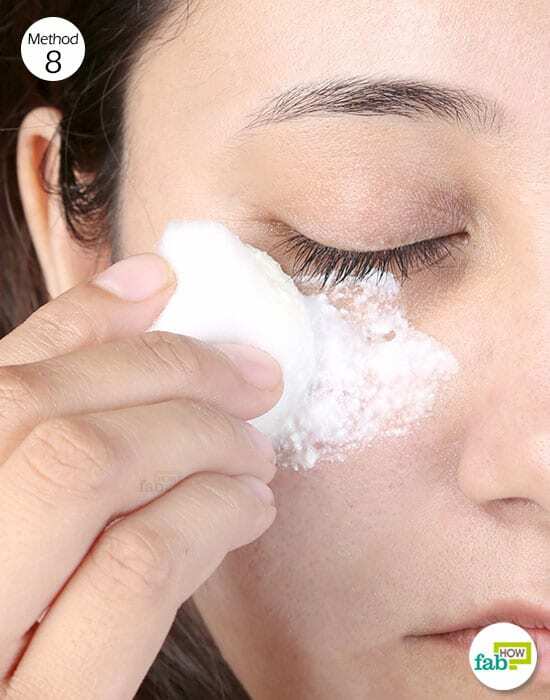 Do this daily at night for at least 4 weeks to erase dark circles. You will notice a significant improvement in the very first week. 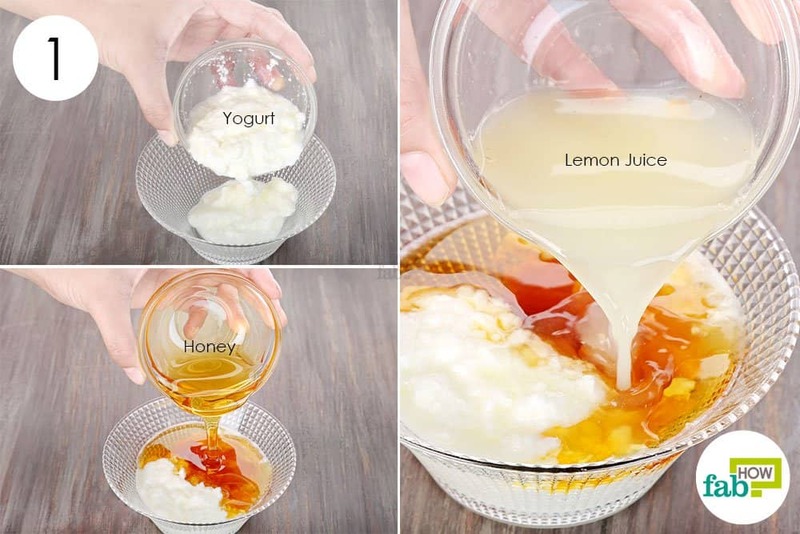 Plain yogurt can also be used in combination with lemon juice and raw honey to make a deeply-nourishing hair mask that works to eliminate dandruff from your scalp. Lemon contains citric acid that prevents fungal growth on the scalp and helps remove dead skin cells to boost the health of your scalp. Similarly, plain yogurt contains lactic acid that inhibits scalp infections and milk proteins that nourish the scalp. 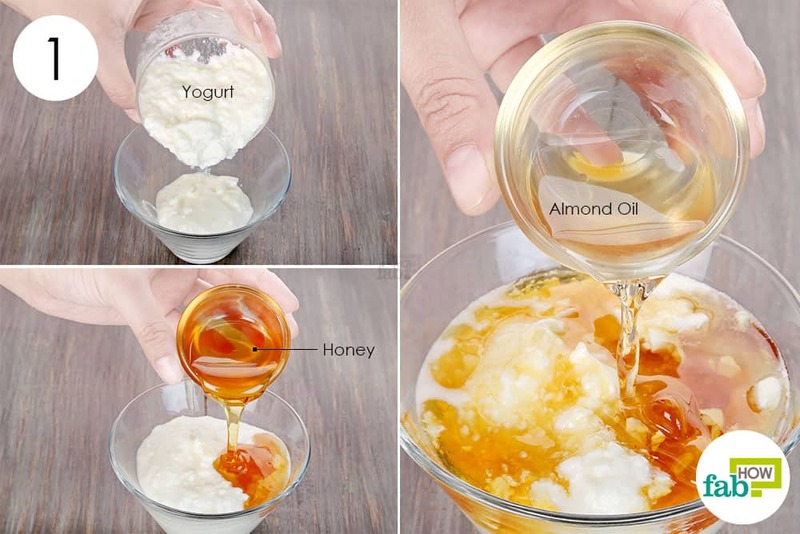 This mask also contains raw honey to help moisturize and hydrate the scalp preventing dryness and dandruff flaking. Put 4 tablespoons of plain yogurt in a mixing bowl. 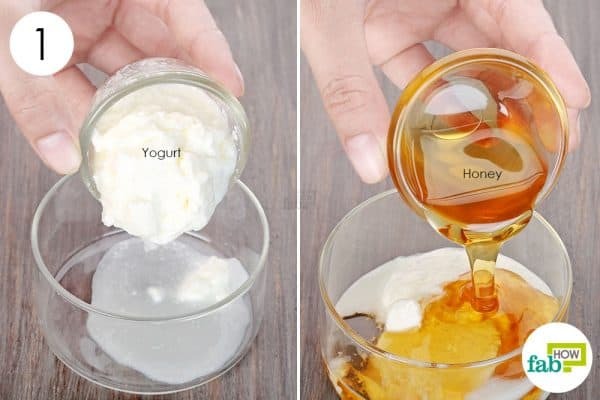 Add 4 tablespoons of raw honey to it. Add 1 tablespoon of freshly squeezed lemon juice as well. Use a hair-dye applicator brush to apply the mask on your scalp and hair. You can roll up your hair and put on a shower cap to prevent the mask from dripping all over you, your clothes and the floor. Leave treatment in for 30 minutes. Afterward, rinse your hair with cool, running water and use a mild shampoo. 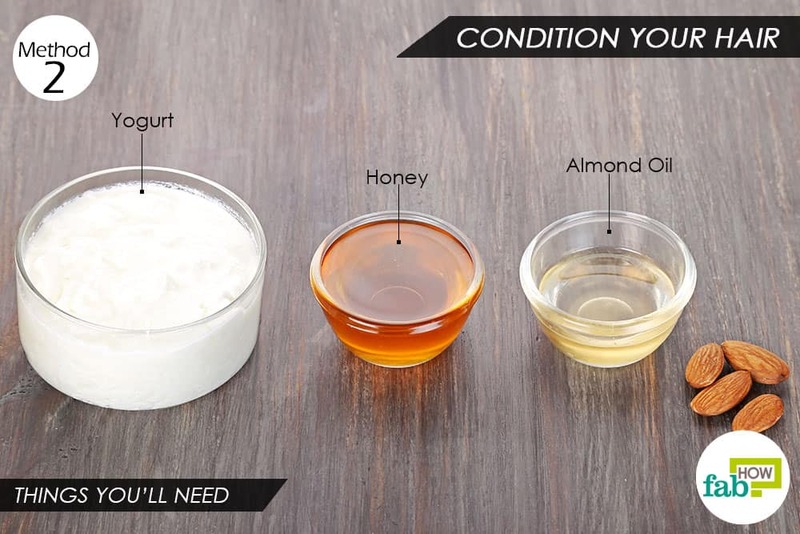 Apply this hair mask once a week to get rid of dandruff naturally while using yogurt for skin and hair. If you have dry, dull or brittle hair, this deeply-conditioning hair mask is especially recommended for you. This mask contains deeply nourishing ingredients like raw honey and almond oil that nourish and hydrate your scalp and hair, rejuvenating and strengthening your dull and damaged hair strands. 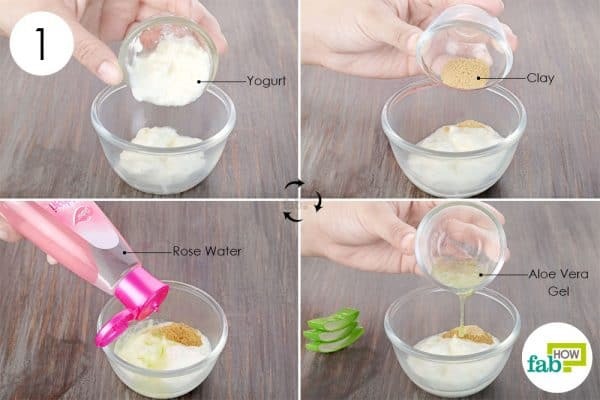 Put ¼ cup of plain yogurt in a mixing bowl. 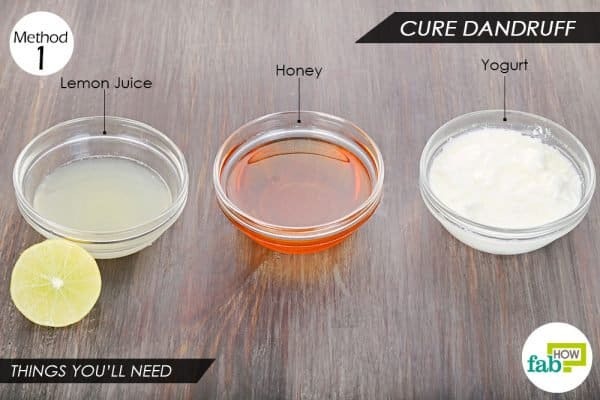 Add 2 tablespoons of raw honey. Blend the ingredients thoroughly using a small, motorized hand blender. 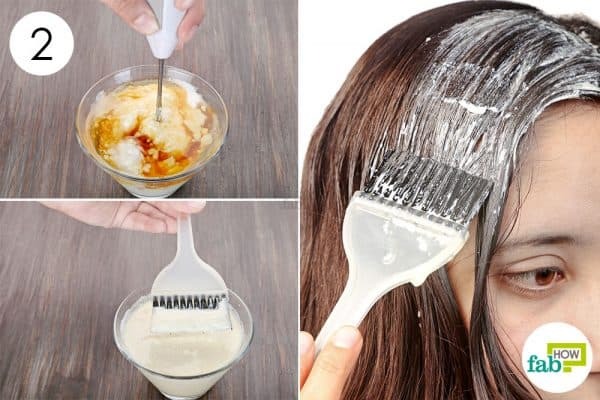 Use a hair-dye brush to apply the hair mask, cover your hair entirely from roots to tips. You can roll your hair into a bun and put on a shower cap to avoid creating a mess. Keep it on for 30 to 40 minutes. Rinse your hair under running water and wash it with a mild shampoo. Let your hair air-dry naturally. Apply this hair mask once a week to repair, hydrate and condition your hair. 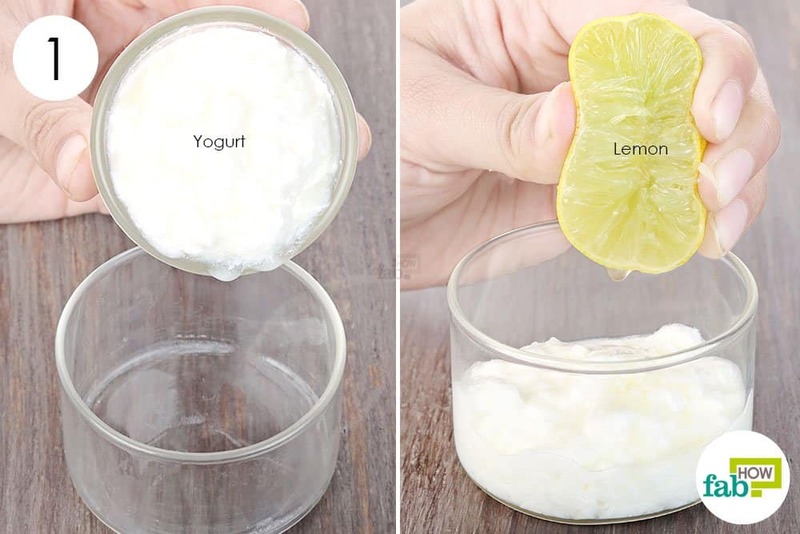 You can also prepare a face mask by mixing plain yogurt with lemon juice to get rid of acne and acne scars. Just combine 1 tablespoon of plain yogurt with a ½ teaspoon of freshly squeezed lemon juice and mix well. Apply the paste on the affected areas and wash it off after 10 minutes. Repeat 2 or 3 times weekly to get rid of acne within 1 month. 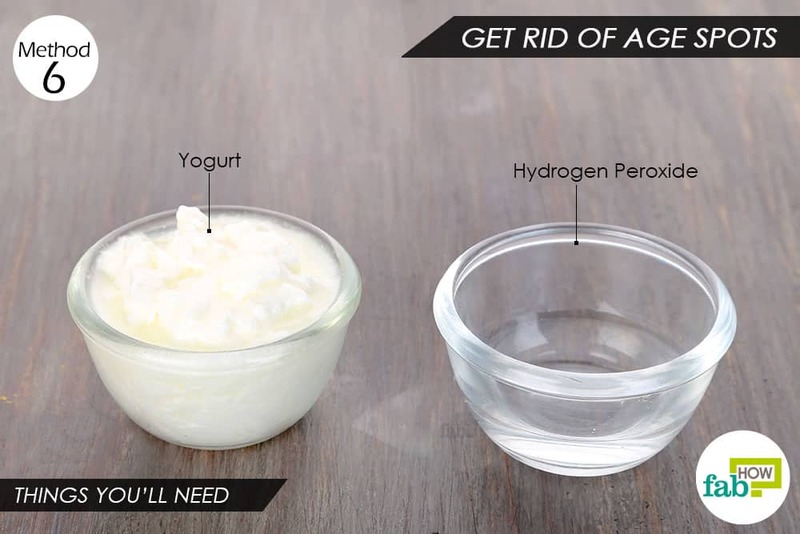 Yogurt can also be used to get rid of a yeast infection naturally. 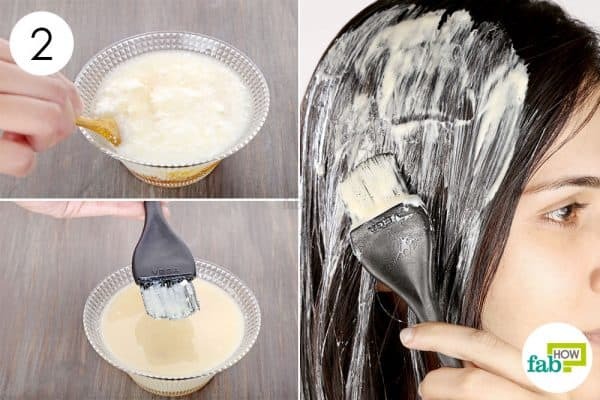 You can also mix 2 tablespoons of full-fat yogurt with 1 tablespoon each of extra-virgin coconut and olive oils to prepare a nourishing mask for colored hair. Apply it once a week for 30 to 40 minutes. Yogurt alone cannot aid hair loss but mixing the right ingredients with it definitely helps. You can try the following hair masks for boosting your hair growth and preventing hair fall.